Heavyweight, premium 20-lb. bond with numbered lines. Letr-Trim® perforation at top for clean tear-out. Extra-heavy chipboard back for writing support. 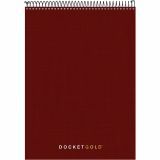 Protective cover keeps important notes safe and private. 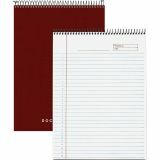 TOPS Docket Professional Wirebound Project Pads - Wire-bound planning pad features a professional black cover and gold lettering for executive look. 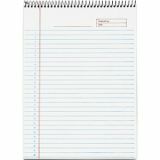 Executive-quality construction includes 70 letter-size sheets of everyday-weight paper. Letr-Trim perforations allow clean and easy sheet removal. Numbered lines front and back help prioritize and organize project tasks. Cover ensures privacy and protection. 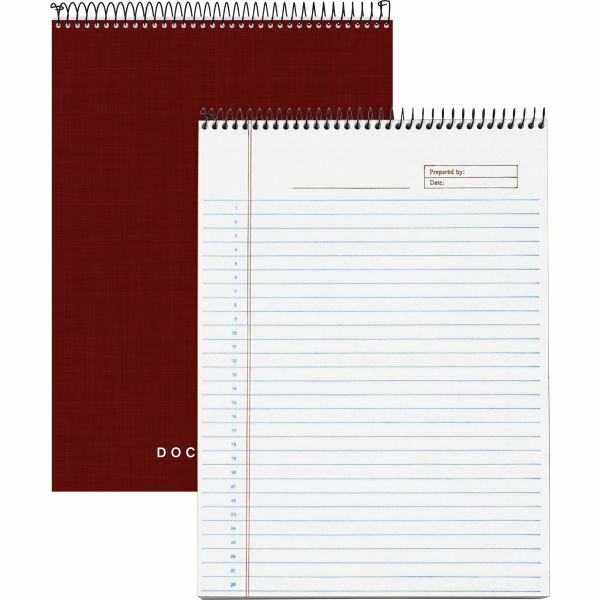 Top binding is ideal for both right-handed and left-handed writers. Rigid backer is made of chipboard material to stand the stress of writing without a support surface.